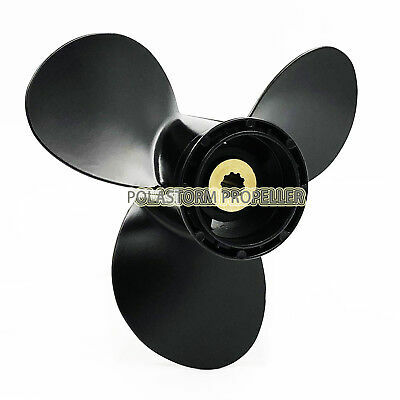 Seller: polarispropeller2010 (695) 99.7%, Location: Columbus, Ohio, Ships to: US, Item: 292699482749 Wellcome to Polastorm FeedBack Mailing list Favorites Toggle navigation Menu Home Aluminum Propellers Stainless Steel Propellers Nibral Propellers Prop Hardware Kits Spare Parts Explore All Menu Home Aluminum Propellers Stainless Steel Propellers Nibral Propellers Prop Hardware Kits Spare Parts Explore All Product Description Aluminum Outboard Propeller 9 1/4x9 for Suzuki 8-20HP 58100-93763-019 Product Description Propeller comes exactly as pictures show. 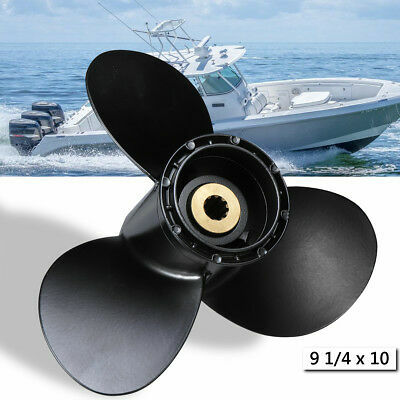 Material: Aluminum 3 Blades Dimension: Diameter : 9 1/4" Pitch : 9" NO.S of Spline: 10 Spline Tooth Application: For Suzuki Outboard Engines 8-20HP 2 1/2" GearcaseDF8A(4 stroke)...2010-newerDT9.9...1983-1987DF9.9(4 stroke)...1996-newerDF9.9A(4 stroke)...2010-newerDT15...1983-1988DT15C...1989-1997DF15(4 stroke)...1996-2012DF15A/DF20A...2013-newer This propeller is after market product. 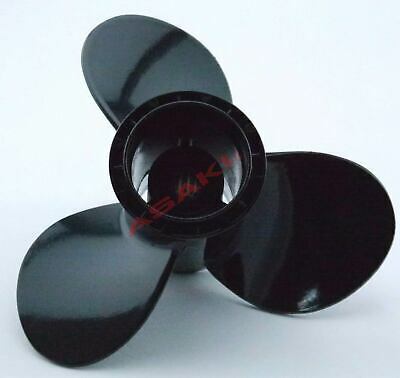 Diameter and Pitch are identical to original OEM ones.We guarantee the performance and quality. 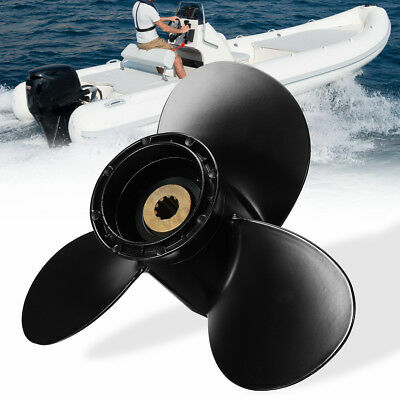 ABOUT US Polaris has wide propeller range which fits from 2HP engines up to 350HP engines. 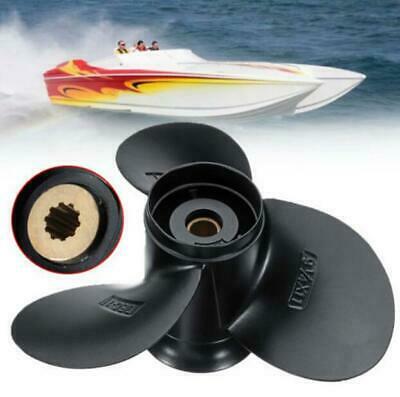 Product includes aluminum outboard propeller, stainless steel outboard propeller, nibral inboard propeller, jet ski impeller, propeller installation hardware kits.etc. 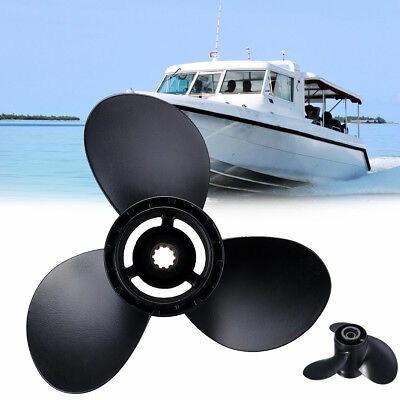 Polaris has strict quality control system to ensure every propeller which received by customers is qualified. Quality consciousness is instilled from raw material processing to final packing. 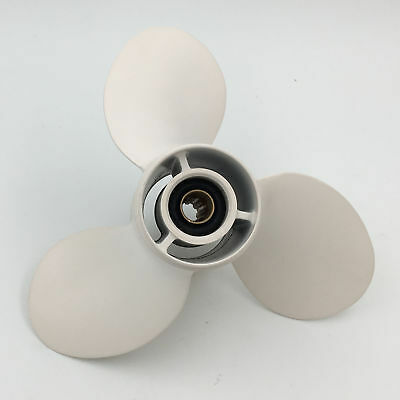 Quality inspection is carried out during Casting process, Machining Center, Painting and Packing for every propeller. We also have a series of analysis equipment to assist the inspection such as Coordinate Measuring Machine, Rubber Torque Tester, Hardness Tester and Dynamic Balance Machine. 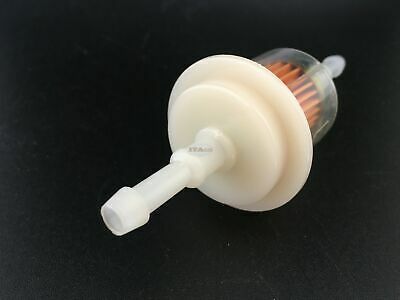 PAYMENT We Accept paypal SHIPPING Free US Shipping. No Minimum Purchase. That's right. 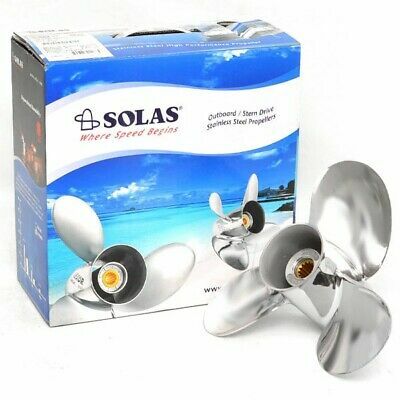 U.S. orders will be delivered via UPS, FREE for all our customers that order on from POLARISPROPELLER on any order size and amount. This applies to addresses anywhere in the U.S., including Hawaii, Alaska, APOs, and military bases. Generally, all U.S packages arrive in 3-5 business days. All orders will normally be shipped within 1 business day after a payment has cleared. All International Orders are processed through eBay's Global Shipping Program. 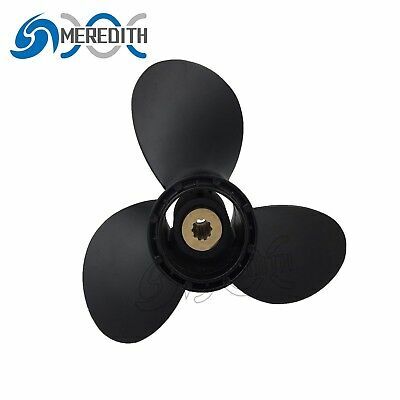 Please note: Import duties, taxes, and charges are not included in the item price or shipping cost. These charges are the buyer's responsibility. Please check with your country's customs office to determine what these additional costs will be prior to bidding or buying. Please remember when you accept a delivery, you are signing to say that you have received the goods in a perfect conditions. 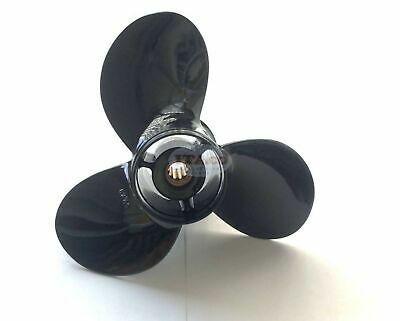 If you notice any damage on the package or if you think it has been mishandled always sign as “damaged” or if the packaging is in a very bad state please refuse delivery and contact us. Contact us about other pricing information if you have any questions. 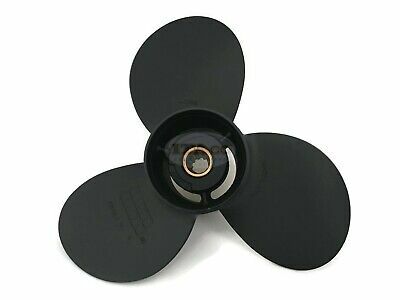 RETURNS Not happy with the props you purchased? No worries. We've got you covered. All items purchased may be returned in their original, unused condition for a full refund of the purchase price within 30 days from original shipment dispatch date. You can return your item for an exchange or full refund. All returned packages must have tracking numbers. 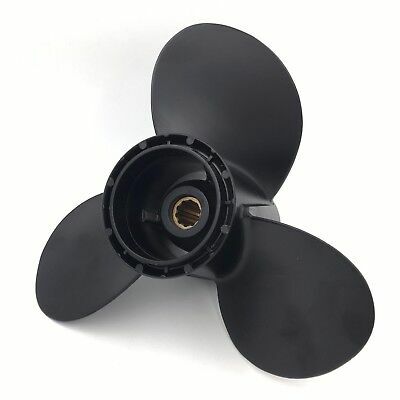 All shipping and handling costs in connection with returns are the responsibility of the customer. Please note, all returns must have non-damaged (preferably unopened) packaging and be in new, unworn condition. otherwise, up to a 25% restocking fee (of the purchase price) could be assessed or the item may not be accepted for a full refund. 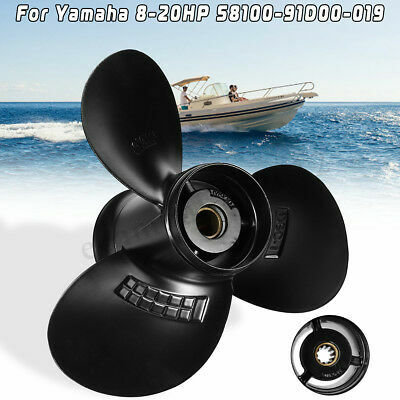 Please contact us prior to returning your item, so we can do our best to assist you. 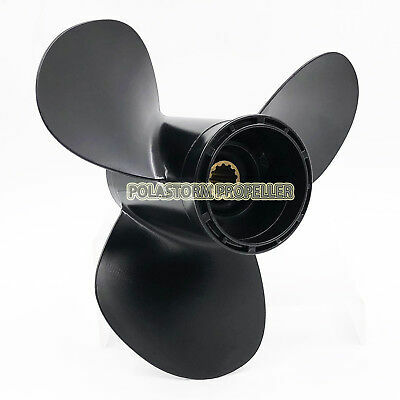 CONTACT US Contact us via ebay message Click here ABOUT Polaris has wide propeller range which fits from 2HP engines up to 350HP engines. 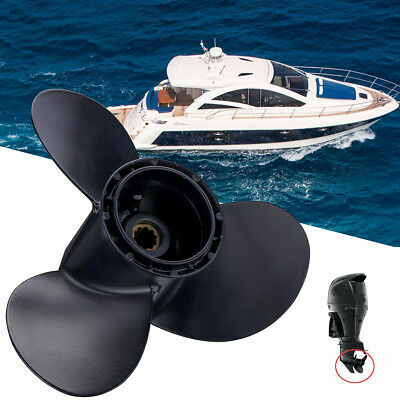 Product includes aluminum outboard propeller, stainless steel outboard propeller, nibral inboard propeller, jet ski impeller, propeller installation hardware kits.etc. 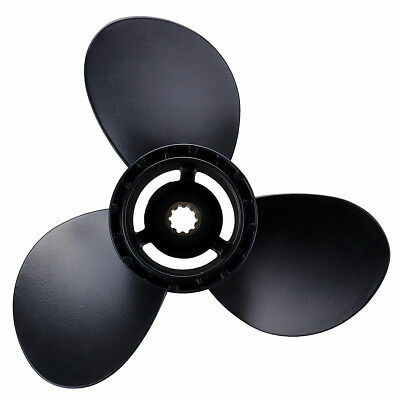 Polaris has strict quality control system to ensure every propeller which received by customers is qualified. Quality consciousness is instilled from raw material processing to final packing. 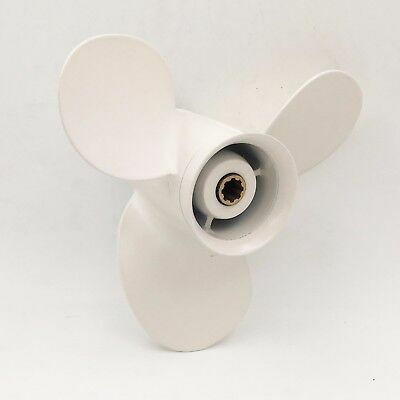 Quality inspection is carried out during Casting process, Machining Center, Painting and Packing for every propeller. We also have a series of analysis equipment to assist the inspection such as Coordinate Measuring Machine, Rubber Torque Tester, Hardness Tester and Dynamic Balance Machine. PAYMENT We Accept paypal SHIPPING Free US Shipping. No Minimum Purchase. That's right. 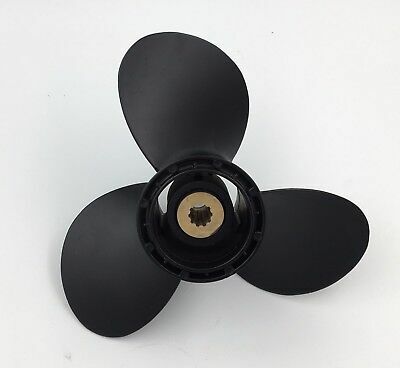 U.S. orders will be delivered via UPS, FREE for all our customers that order on from POLARISPROPELLER on any order size and amount. This applies to addresses anywhere in the U.S., including Hawaii, Alaska, APOs, and military bases. Generally, all U.S packages arrive in 3-5 business days. All orders will normally be shipped within 1 business day after a payment has cleared. All International Orders are processed through eBay's Global Shipping Program. 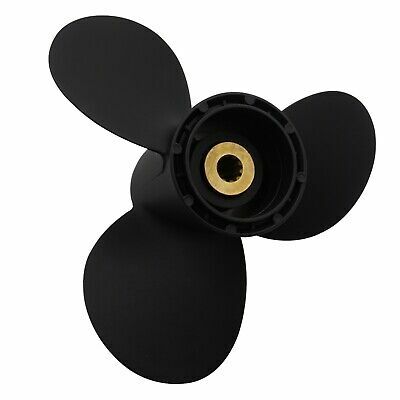 Please note: Import duties, taxes, and charges are not included in the item price or shipping cost. These charges are the buyer's responsibility. Please check with your country's customs office to determine what these additional costs will be prior to bidding or buying. Please remember when you accept a delivery, you are signing to say that you have received the goods in a perfect conditions. 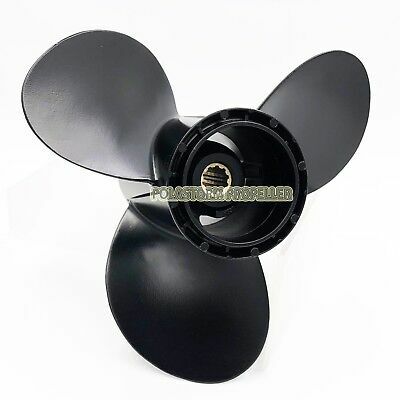 If you notice any damage on the package or if you think it has been mishandled always sign as “damaged” or if the packaging is in a very bad state please refuse delivery and contact us. Contact us about other pricing information if you have any questions. 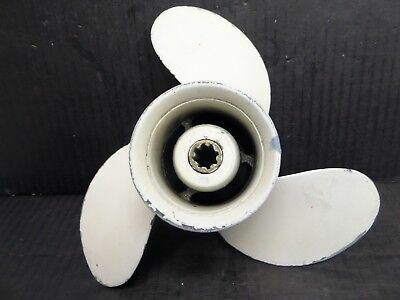 RETURNS Not happy with the props you purchased? No worries. We've got you covered. All items purchased may be returned in their original, unused condition for a full refund of the purchase price within 30 days from original shipment dispatch date. You can return your item for an exchange or full refund. All returned packages must have tracking numbers. 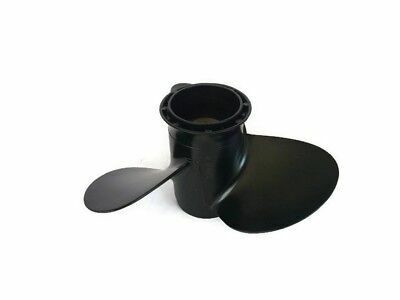 All shipping and handling costs in connection with returns are the responsibility of the customer. Please note, all returns must have non-damaged (preferably unopened) packaging and be in new, unworn condition. otherwise, up to a 25% restocking fee (of the purchase price) could be assessed or the item may not be accepted for a full refund. Please contact us prior to returning your item, so we can do our best to assist you. CONTACT US Contact us via ebay message Click here Brilliant Team Industry Experience 100% Result Guarantee Respond in time Creativte & Professional Join Us Today! Subscribe to our newsletter for latest products, promotions and updates. 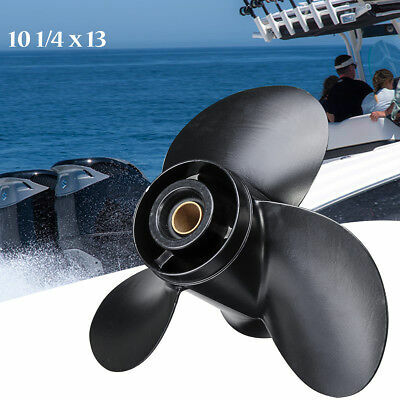 SIGN ME UP Home About us our Products PaymentS Shipping returns Contact Us Copyright © 2018 POLARIS PROPELLER USA INC. All Rights Reserved. 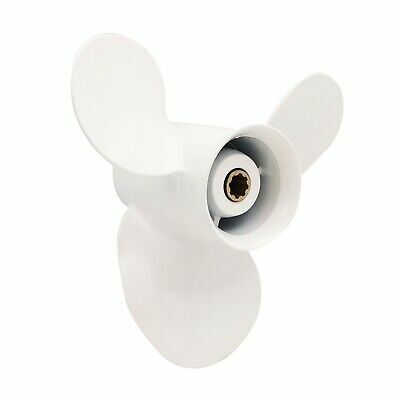 Track Page Views With Auctiva's FREE Counter Condition: New, Diameter:: 9 1/4", Material:: Aluminum, No. 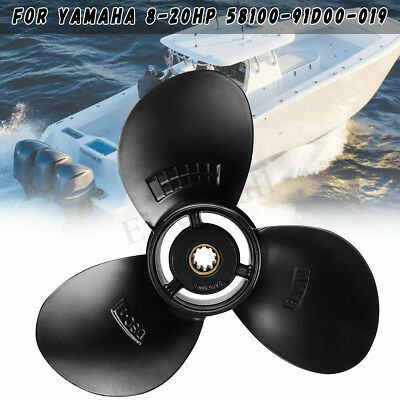 of Tooth: 10 Spline Tooth, Fits Engine: Suzuki 8-20HP(Please refer to description), Country/Region of Manufacture: China, Manufacturer Part Number: 58100-93763-019, Propeller Rotation: Standard, Brand: POLASTORM, Propeller Pitch: 9"
Popularity - 106 views, 0.4 views per day, 237 days on eBay. Very high amount of views. 0 sold, 3 available. 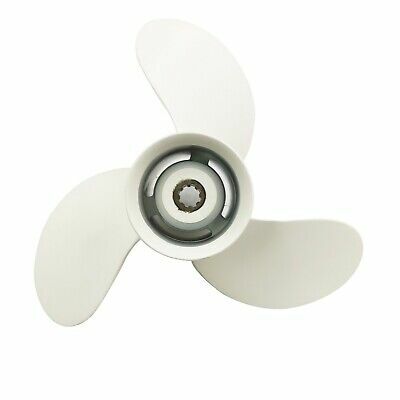 106 views, 0.4 views per day, 237 days on eBay. Very high amount of views. 0 sold, 3 available. 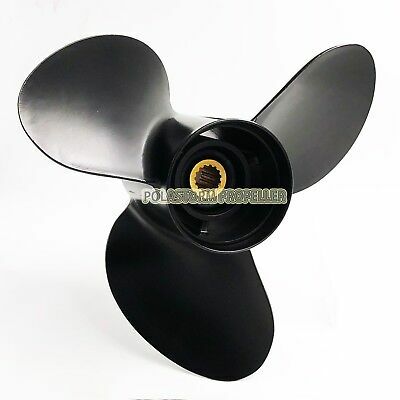 9 1/4X9P Aluminum Outboard Propeller For Yamaha 9.9-20HP 63V-45945-10-EL .